Psssst. 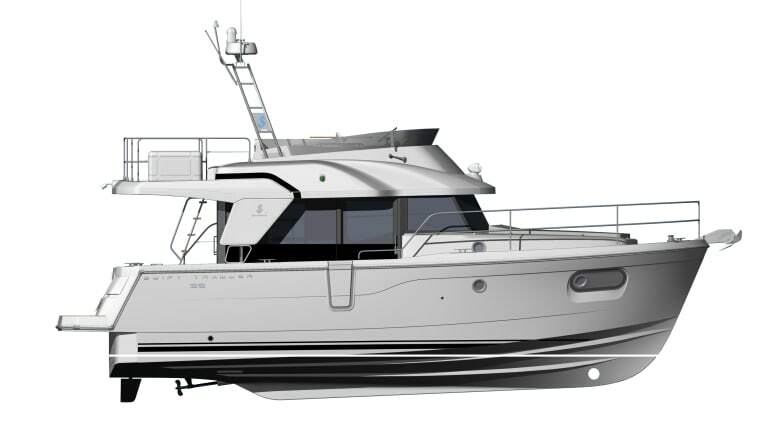 Wanna First Look at the New Beneteau 35? 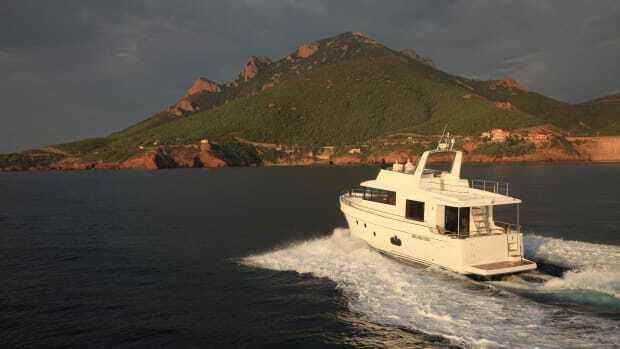 Would you like a sneak peek at the new Beneteau Swift Trawler 35? 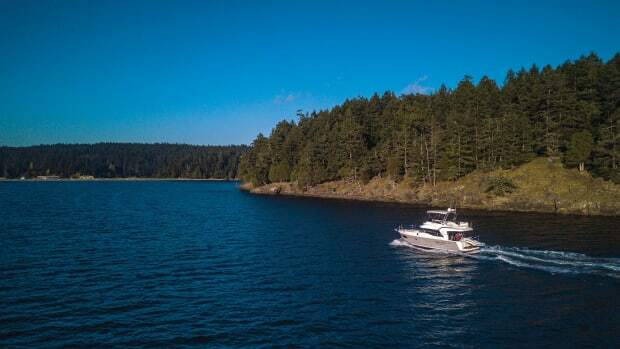 One of the first of Beneteau’s new breed will be on display at TrawlerFest-Bay Bridge Marina, Thursday through Saturday, Sept. 28-30. 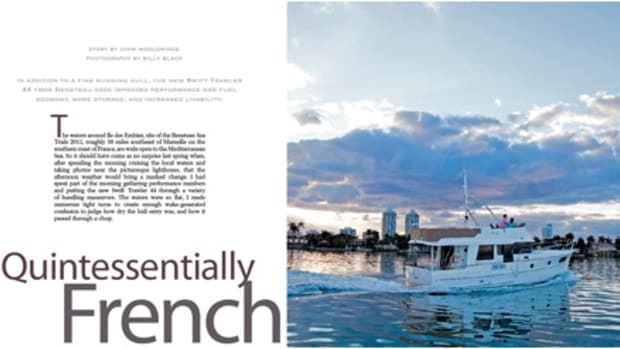 This was a last minute decision by the Beneteau people, who had intented to unveil their new baby at a later boat show. 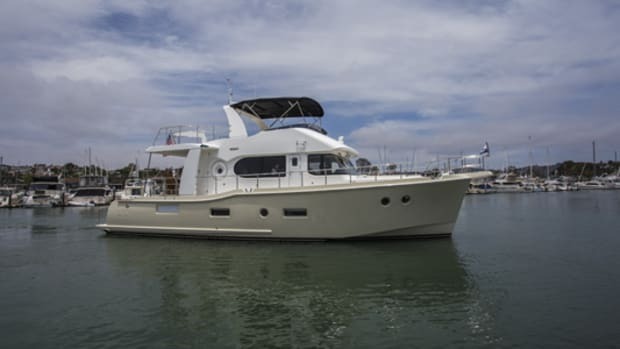 The 35 is the successor model to Beneteau’s popular Swift Trawler 34, and is actually 37 feet LOA if you factor in the swim platform. 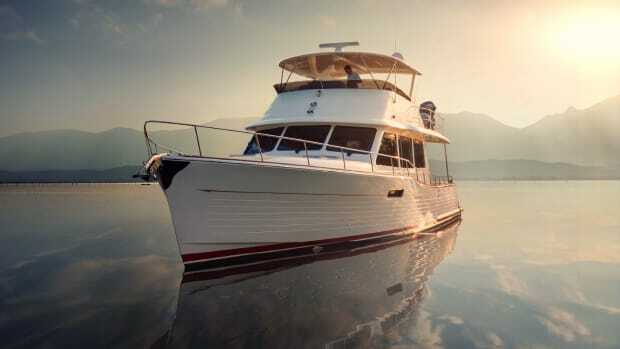 With master and guest cabins and a settee that drops to a bunk, the boat sleeps six. 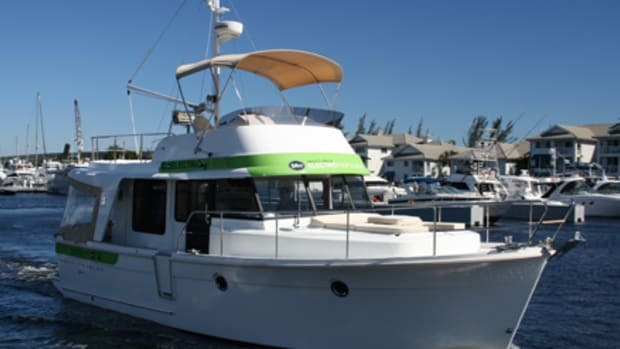 It follows that the portside U-shape galley up ensures a social dimension to meal preparation. 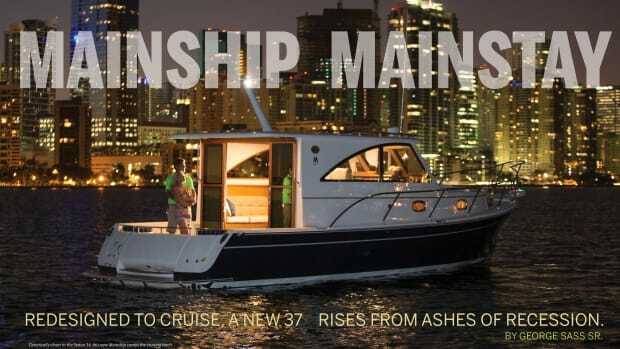 Standard boat is equipped with a two-burner gas top and oven. 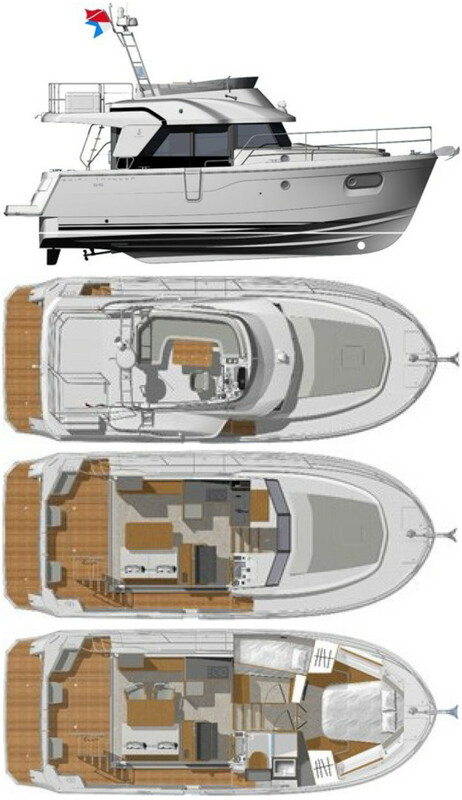 Her semi-planning hull is pushed by a 425 hp. Cummins diesel turning a straight shaft. 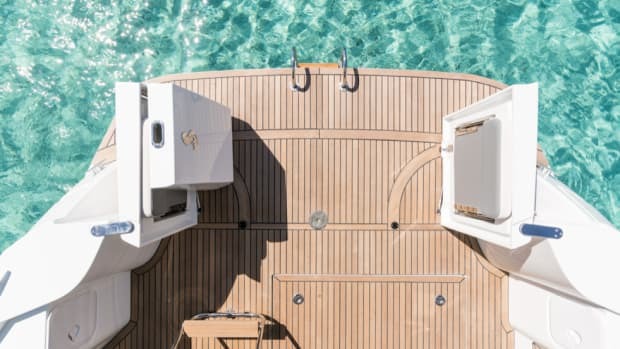 Bow and stern thrusters come standard. An optional 7.5 kW genset will run a powerful reversible A/C system.